We’ve been entirely too busy having adventures to catch up with editing photos and blogging about them, so I apologize for the slow trickle of postings. We’ve also been out of range of cell phones and Internet quite often, and that makes things a little difficult too. 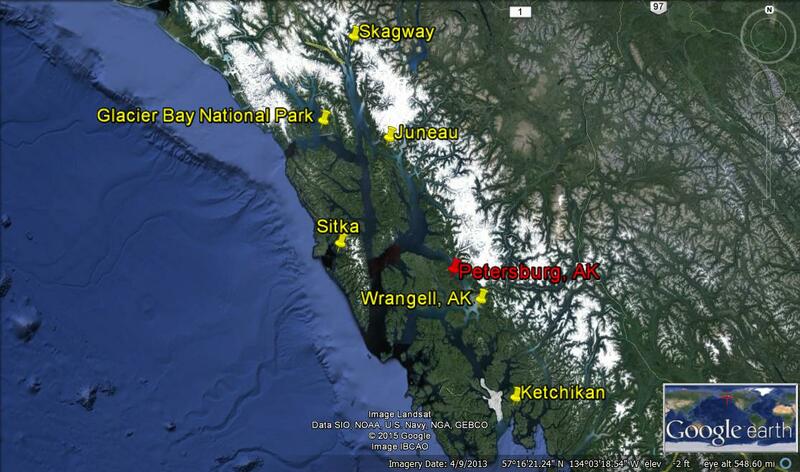 Here’s a map of Southeast Alaska to show some of the places where we’ve been cruising, and you can see Ketchikan at the bottom – almost to the Canadian border. Ketchikan is the southernmost town in Alaska. Ketchikan is a nice town, though it’s overrun with cruise ships in the summer season. I don’t mean to offend cruise ship passengers, but the big ships tend to create a culture of mindless shopping and faux experiences to fill the too-short time that passengers have to visit a port. We always feel sorry that cruise ship people don’t get the chance to see more of the “real” place. 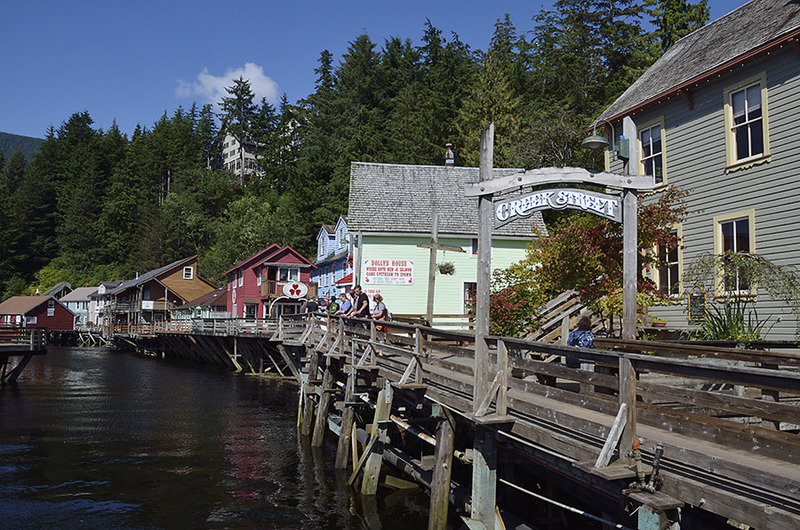 Creek Street is a famously touristy place, but the interesting thing is that it’s an active salmon stream and is a great place to see these fish returning to spawn in August. 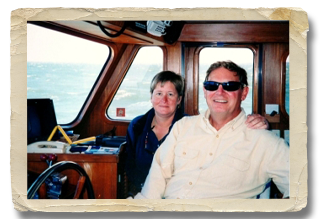 The last time we were in Ketchikan was when we first arrived in Alaska and we had a few repairs to make before we could continue on. By the time we finished the repairs we only had a small weather window to head north, so we missed a number of things we really wanted to see, particularly the two totem parks. 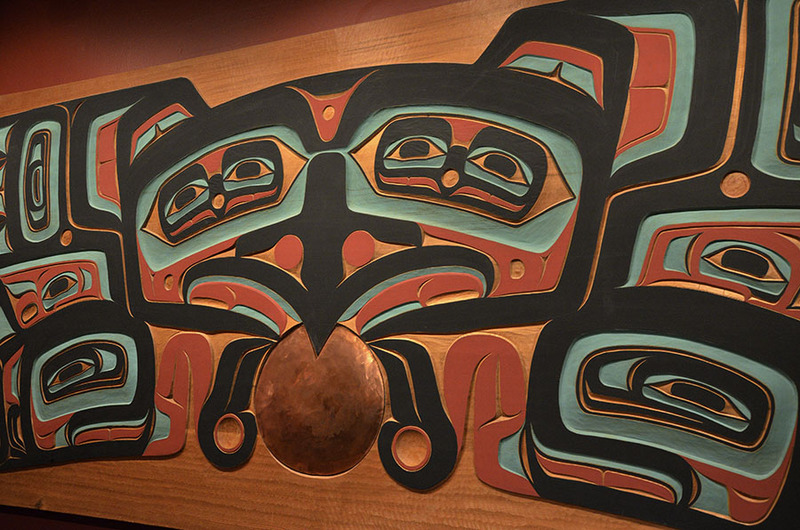 In this southern end of the Alaskan panhandle there are three Native Alaskan tribes: Tlingit, Haida, and Tsimshian, each with stylistic differences in their artwork. 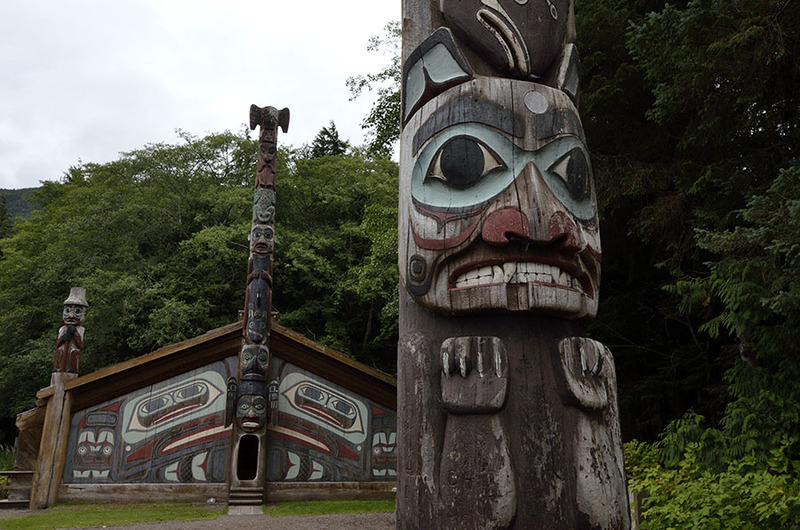 Ketchikan has two totem parks – one north of town (the Totem Bight Park) and one south of town (Saxman village). This trip, we were able to visit both, as well as the Totem Heritage Museum in town. The collection of poles at the Saxman village were collected or replicated from abandoned villages in the nearby areas. Poles with decorations at the bottom and top but nothing in between are memorial poles. The stories of each are moving and interesting. 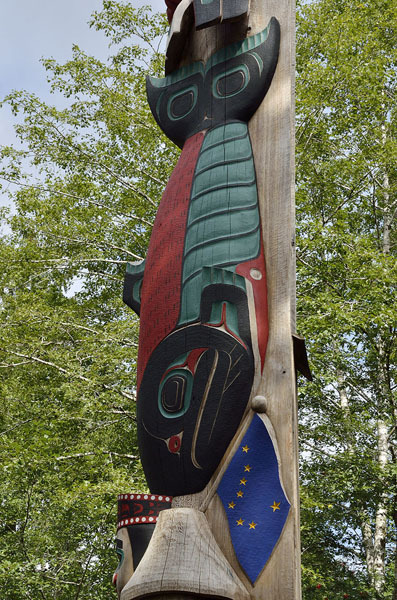 Other poles tell stories or depict various clan symbols, and the tribal house in the background has lots of beavers to represent the local Beaver Clan. 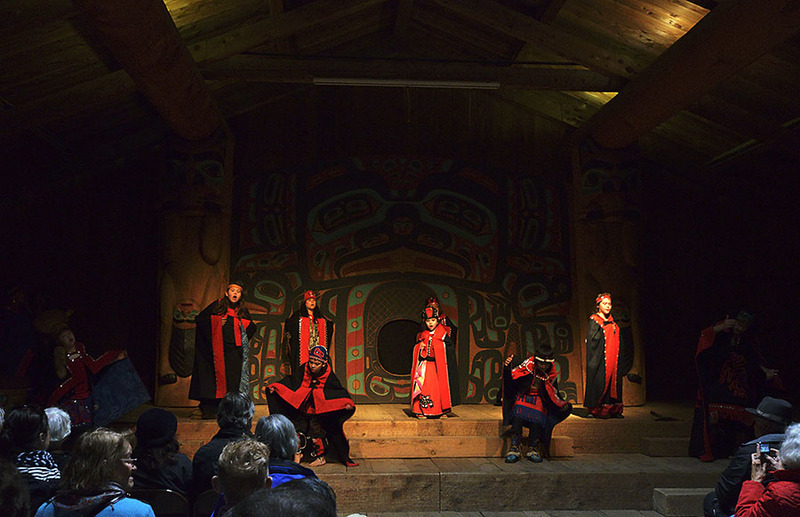 We were lucky enough to see some dancing by Beaver Clan members, including a few little children. After visiting Saxman we decided to take the city bus as far north as it goes to the Totem Bight Park, which was excellent. 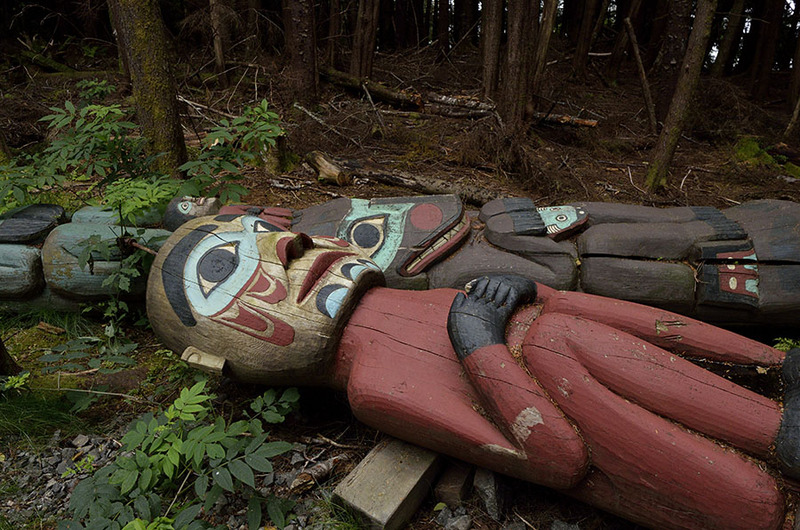 Totems are displayed here and some are replicated as older totems begin to deteriorate. Totems are disposable art – they have a limited lifetime and when they begin to rot they are just left on the ground to return to the earth in their own time. It’s sad to see all that effort and skill just lying on there, but that’s the way of totems. New poles are created to replace old ones, and it encourages new carvers to participate. 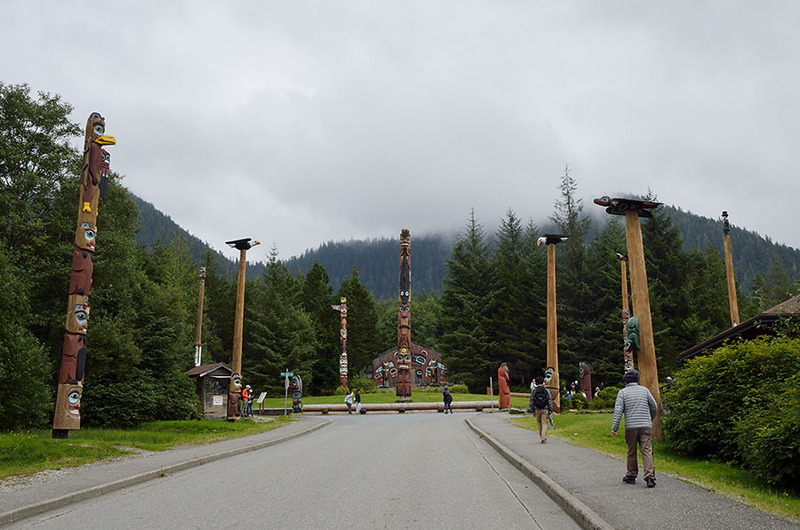 The park had trails that meandered through the forest with little open alcoves where poles were on display, and a number at the base of each pole corresponded to a guide brochure so we could read a little about each pole’s origins and purpose. There was also a small tribal house, with Beaver Clan themed poles inside, and the traditional small oval opening for the front door. The idea was that if an enemy tried to come into your house he had to enter bent over so much that he couldn’t attack you before you had a chance to prepare. 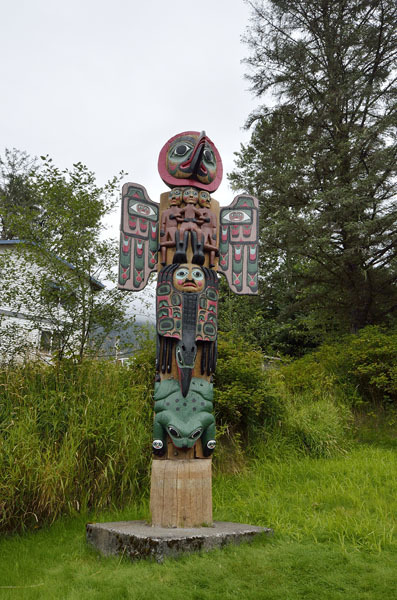 In the middle of Ketchikan is a small Totem Heritage Center where some very old poles are preserved for historical study and cultural preservation. In addition to the old poles there are some newer poles and panels, which might be found in a tribal house, and the skill and beauty of the artwork never ceases to impress us. The Heritage Center also had some Tlingit button blankets, worn as ceremonial robes, decorated with clan symbols. These things are so special to see, and it pays to look at the details of each – to see the artist’s style as well as the symbols of their family tree. 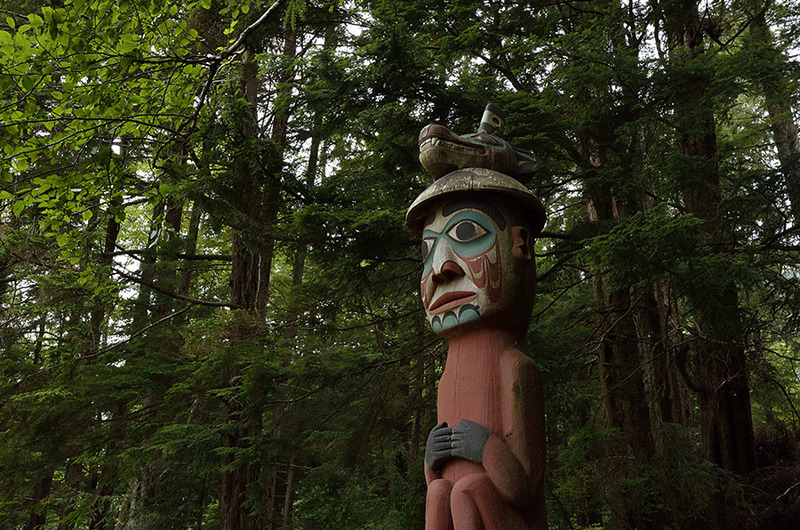 Totems and Native Alaskan symbols are found throughout Southeast Alaska, and we consider them just as important as the beautiful mountains and plentiful wildlife.